For less than you pay for rent you can begin building equity in this lovely condo in Cambrian Woods. So convenient - just off Inverness Parkway and within walking distance to Inverness Country Club! In this unit, you&apos;ll find hardwood floors in dining room and great room, and brand new carpet in master and bedrooms. 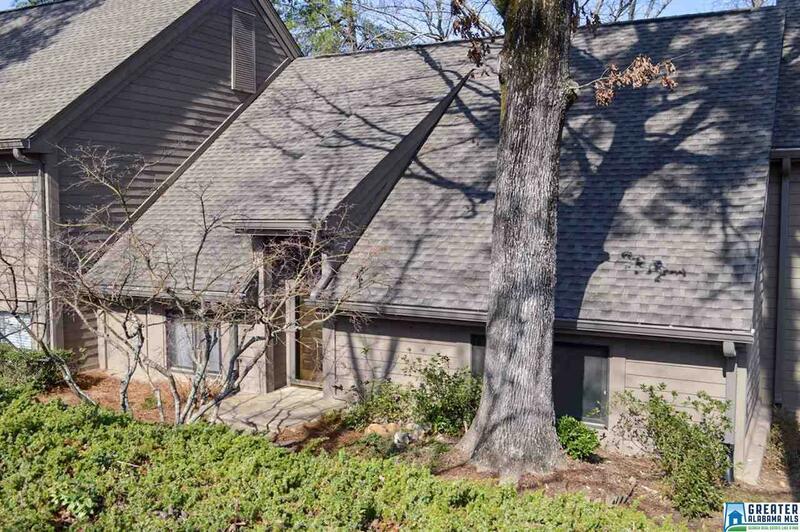 Large wood burning, stone fireplace with 2 large sliding glass doors to let in lots of natural light. Brand new private, large deck overlooking tree tops and Lake Heather in the distance. Master bedroom, 2nd bedroom and 2 full baths on main level. Upstairs is a spacious loft with built in bookcase and large full bath. Kitchen features new tile, newly finished countertops, new refrigerator and new dishwasher. Washer and dryer even included in this deal! HVAC replaced in 2011, water heater 2010. Very nice, very liveable. Come see for yourself! Driving Directions: From Hwy 280, Turn On To Inverness Parkway. Turn Left On Country Club Drive. Follow This Into Cambrian Woods. Go Straight Ahead And The Home Will Be 3rd One On The Left.